BULGARIA / PLOVDIV / BELOMORSKI DIST. Completion (Act 16) is expected in December 2019. 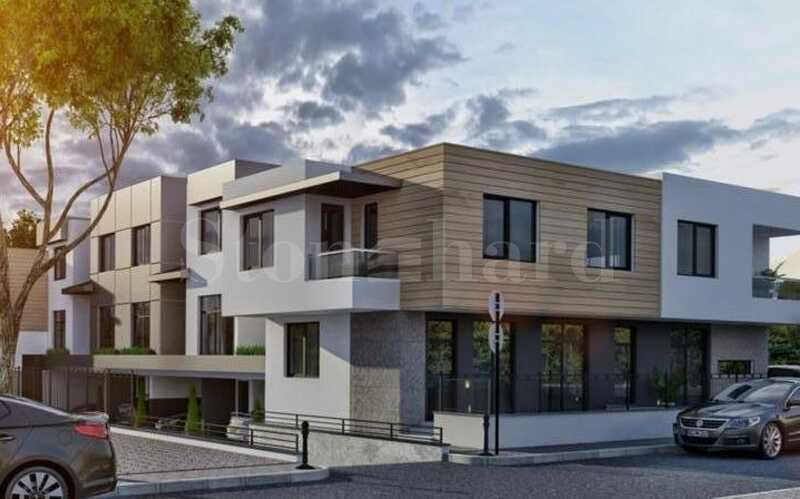 Townhouses in a communicative area near a bus stop in a calm and preferred for living Belomorski district in Plovdiv. The neighborhood is located at 5 minutes driving distance from the center of Plovdiv. The area boasts low construction, mainly luxury houses and villas, there are hypermarkets, restaurants, kindergartens and schools, as well. The houses have a total built-up area of 120 sq.m up to 130 sq.m and are built on 2 levels. 2nd level - spacious master bedroom with individual bathroom and WC as well as 1/2 bedrooms with private bathroom and WC, terraces. At the semi-detached floor are positioned garages with storage and a direct entrance to each of the houses. 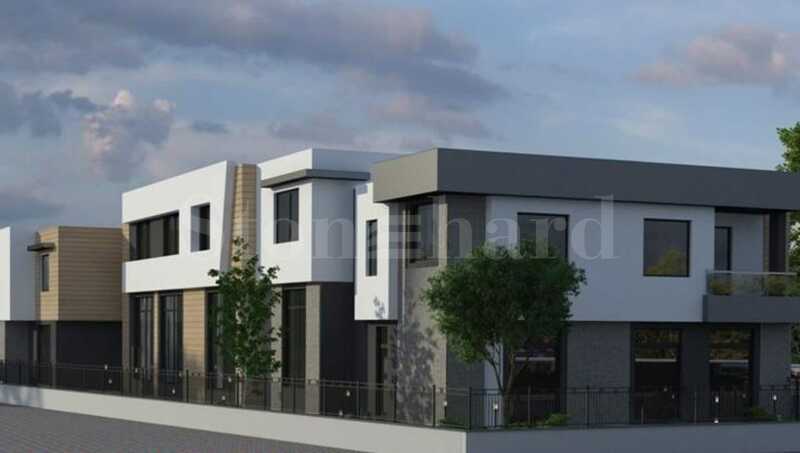 The properties feature a contemporary architectural appearance, individual yards of 107 sq.m, garages and parking lots. There is a central sewerage network to the houses. The construction is with monolithic frame-beam reinforced concrete structure. Ceramic blocks with ideal geometry and low thermal conductivity of Wienerberger are used for the outer enclosure and internal partition walls. The walls are plastered with a special lightweight gypsum plaster, laid with pneumatic machines and with steel galvanized guides and edges with previously installed electrical and plumbing installations. The facades are insulated with 10 cm facade EPS in combination with stone wool. Finishing coating is a combination of structural silicone plaster, HPL composites, stone and glass. The houses are in Act 14 stage. The completion (Act 16) is expected in December 2019.